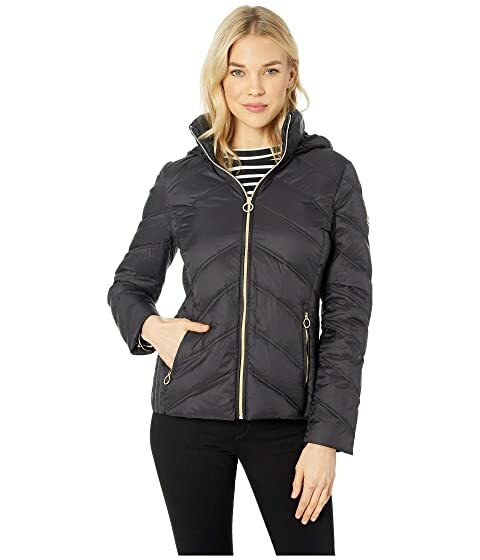 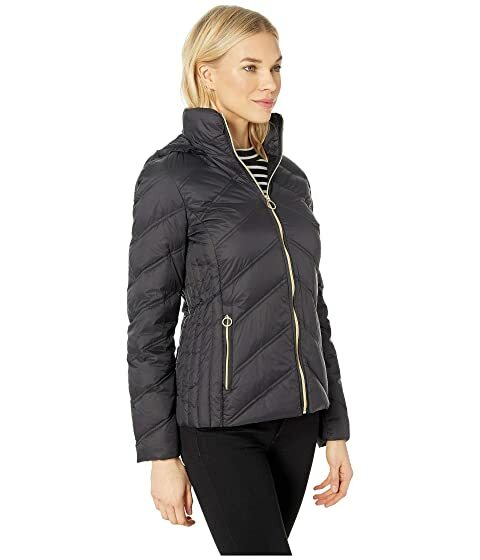 Charm your style admirers when you embrace the elements in this MICHAEL Michael Kors® Zip Front Short Packable jacket. 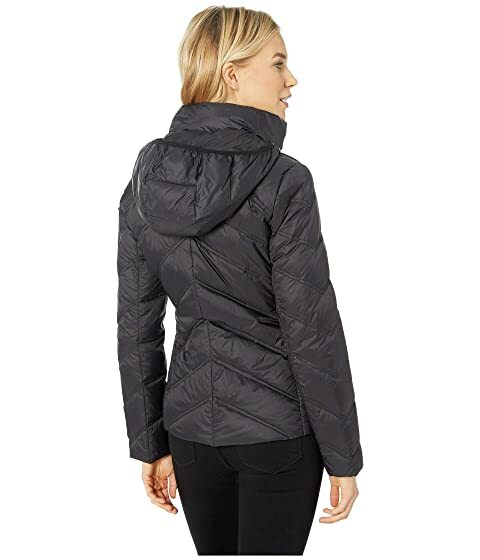 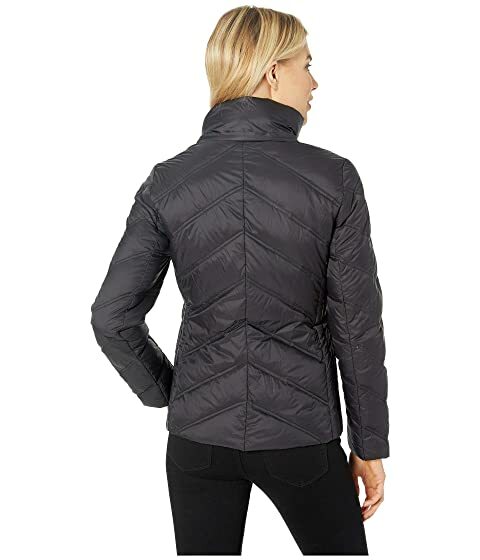 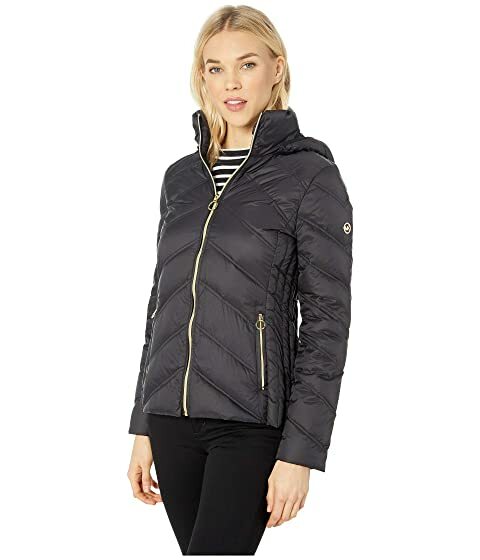 Chevron-quilted puffer jacket crafted from a nylon fabrication. 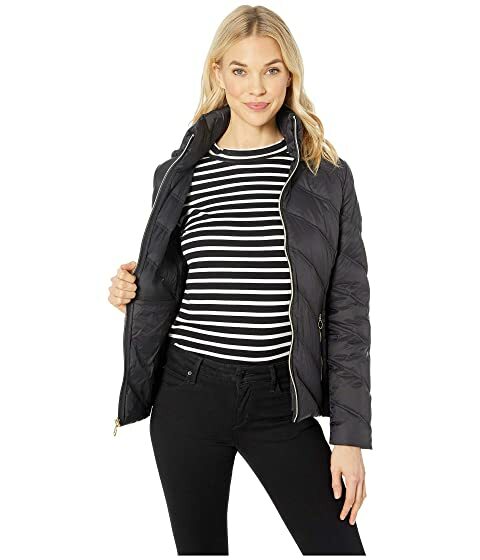 Signature logo accent at left sleeve.